This is such a great series, Silvia! I haven't really read much about Ted Bundy but he would be an interesting study. Oh I think I would have liked this one as well. thanks! It's a really good book! I'm getting ready to write my review soon as I just finished this last night. I really enjoyed this one as well and that ending. I need the next book NOW! Yes! I am pretty eager to get my hands on the next book as soon as possible! 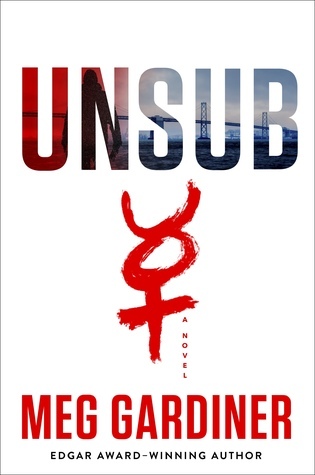 I have a hold on Unsub at the library and so happy to hear you enjoyed this one too. Great review! I hope you love Unsub as much as I did, Grace! I used to really be into profiler novels, but I got away from them recently. I secretly wish I could have gone into that field, although I don't think I'd be good at it. LOL This sounds like a fun book and I am glad you liked it, Carole! I sometimes wish I did something really interesting like this but yeah...I probably wouldn't be good at it. This one does have enough action to keep the pages turning. Yes! This sounds amazing. I love the show Criminal Minds and this sounds even better. Can't wait to start the series! It definitely had a Criminal Minds kind of feel. I like this sort of mystery thriller when I get to see how they workout the profiles and follow the clues. I'll have to check out UNSUB. I went through a phase of reading a lot of true crime books but I don't know a lot about Bundy. This was a fantastic read, Aleen! I need to pick this one up. I ma a big fan of these kinds of stories. Thanks for bringing it to my attention. I hope you get a chance to read this one, Nadene! It is such a well told story. I would say that this series is definitely worth checking out. It was exactly the kind of book that I really enjoy reading. Thanks, Charlotte! I think that this one definitely had a Criminal Minds kind of feel to it. I can't believe I haven't heard of this series before! I love anything thriller/FBI related so I think I'd enjoy it. I'm glad to hearing the pacing is good. I love when books start off fast and then slow down in the middle. Great review! It is such a great series so far, Lauren. This one was very well done. I am glad that this could be such a good thriller read for you! I'm intrigued that this mystery novel is based on a true story - you don't really see that very often when it comes to mystery books. It also sounds quite intense and fast paced. I think it was inspired by Ted Bundy but the story is not exactly the same. 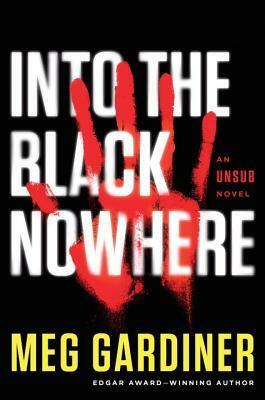 I've been reading more and more thrillers. I'm going to have to add this series to my list. I just listened to a book by someone who knew Bundy before he was even a suspect for the killings. It was a very interesting story. After seeing comment above, I want to read this even more. I definitely need to learn more about Bundy. That sounds like a really interesting book. I used to love true crime stories but haven't read any lately.